I restarted my Boxy sweater. I originally ripped back to the ribbing because having only 3 rows was curling. So I started to make it 8. Then I began thinking about the Vneck Boxy. Deciding that I would wear that neckline more often, I ripped everything out, and started fresh. This picture is of the back, and I am working down as fast as I can. 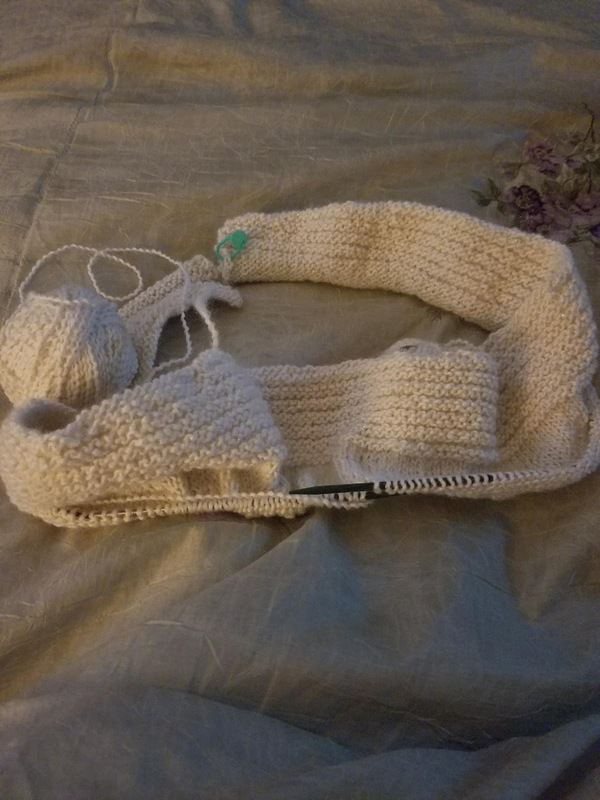 I have to set this aside, however, for both birthday sweaters and Christmas knitting. I really don't want to, as I rarely knot for myself, but I will since I have 2 sweaters to complete for a September birthday. No worries though - I am close to being finished with one and the other is worsted weight, which should go relatively quickly.